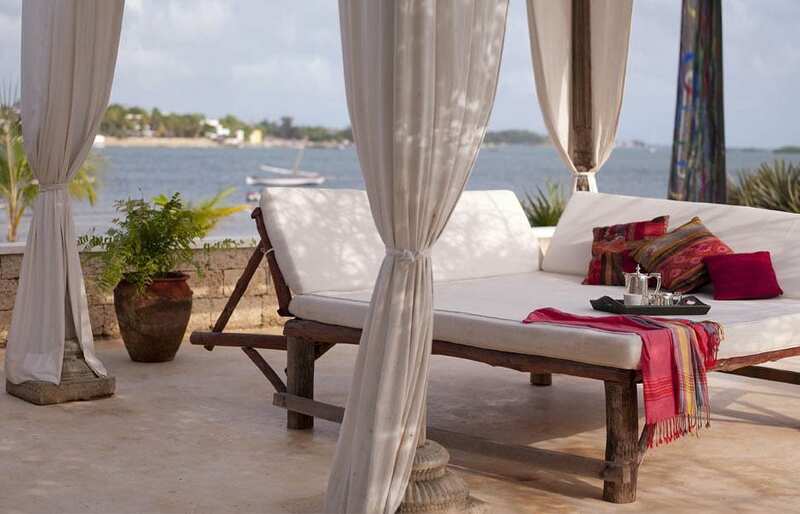 Accessible only by boat, with a superb beachfront location and fine views over the Ras Kitau Bay and Shela village, this privately owned boutique hotel is designed to reflect Lamu´s traditional heritage and style. 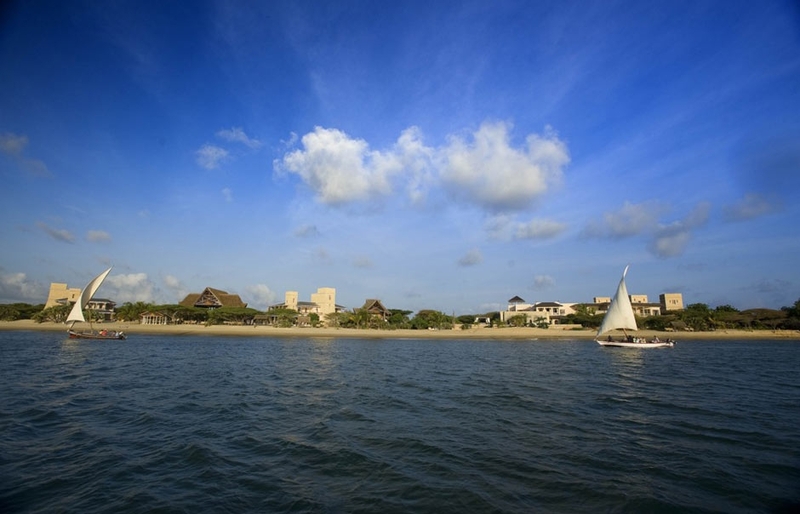 The hotel, located on one of the islands of the Lamu archipelago, is surrounded by mangrove forests, palms and white beaches. 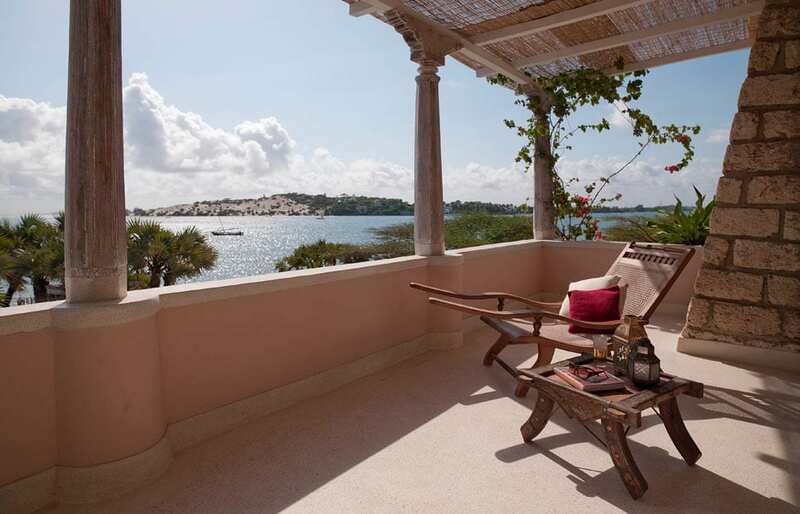 Originally conceived as an Italian family’s winter vacation home, The Majlis has a well-earned reputation as one of East Africa’s most intimate beach resort. 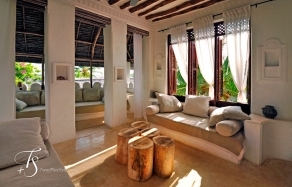 The property consists of three large beachfront villas. 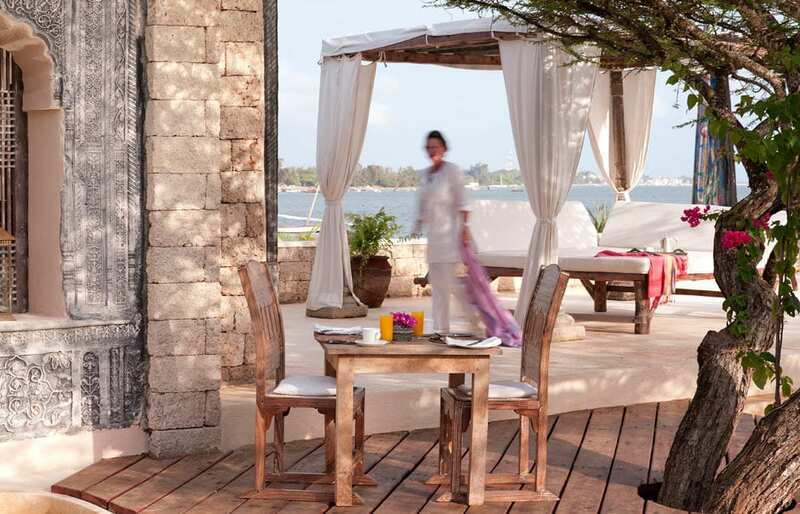 Each is divvied up into 25 rooms and suites: Superior, Deluxe, Junior and Royal, with verandas that opens onto the beach, garden or the Indian Ocean. 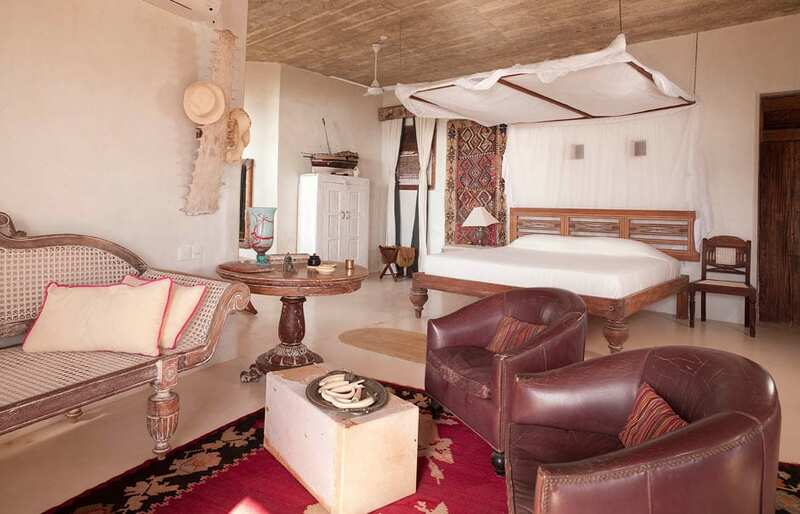 The villas, built from the local white-bleached coral blocks, house unique African artifacts and family heirlooms as well as private collection of art. 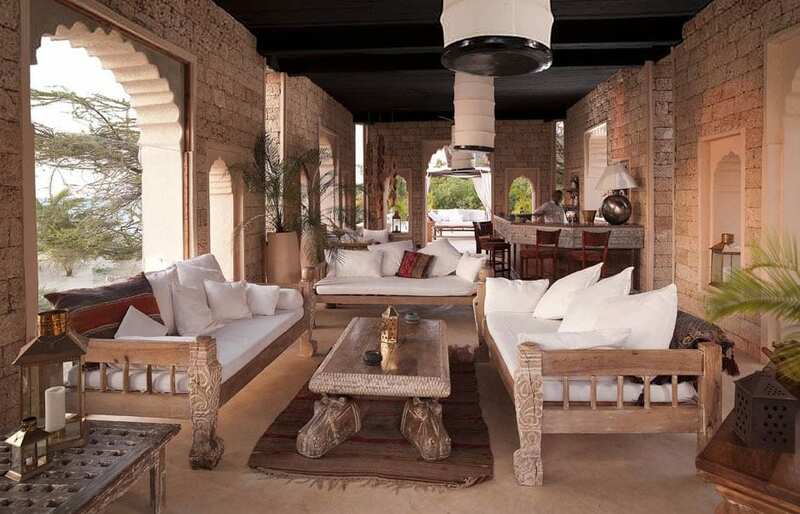 The interiors tastefully combine Swahili, Arabic, Indian and Italian influences. Rooms are decorated in an understated elegance chic. 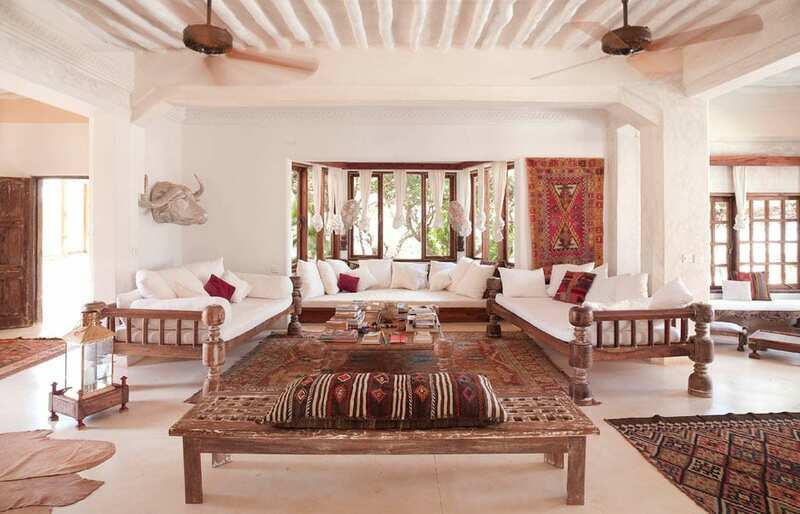 All are very spacious, with traditionally high, beamed ceilings and large windows, furnished with armchairs embroidered with multicolored pearls, luscious rugs and woodcarvings. 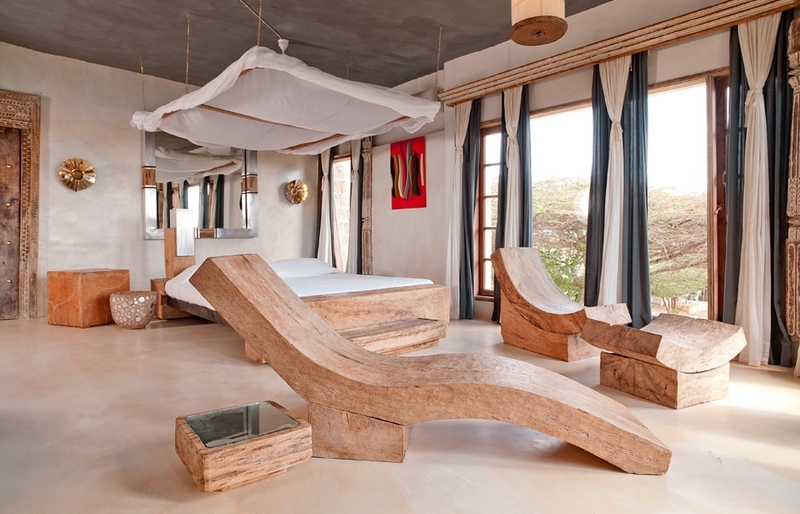 The dominating white serves as a canvas for a palette of warm colors of cushions and furniture, doors, four poster beds and lamps—hand-carved by local artisans. 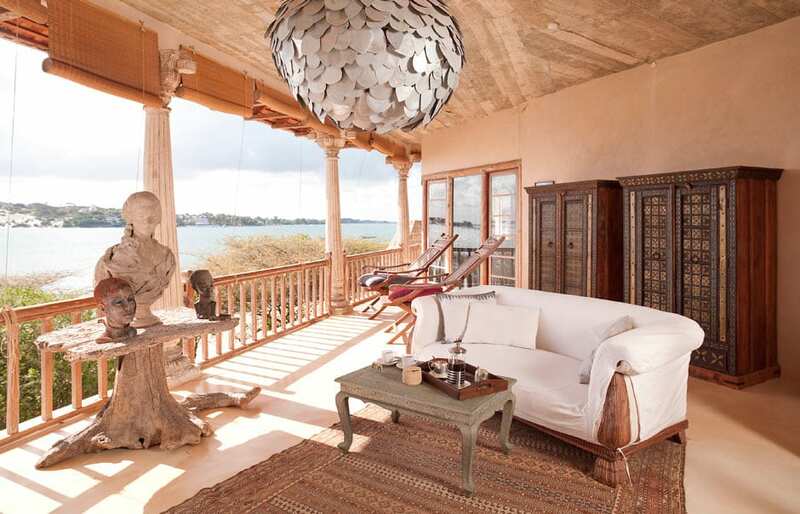 The shared areas are beautifully kept, and much is made of the view of the bay. Our favourite spot for a sundowner with a view has been the ivory-white bar, delicately enclosed within a silver-grey plaster replica of a Maharajah’s ceremonial arch. 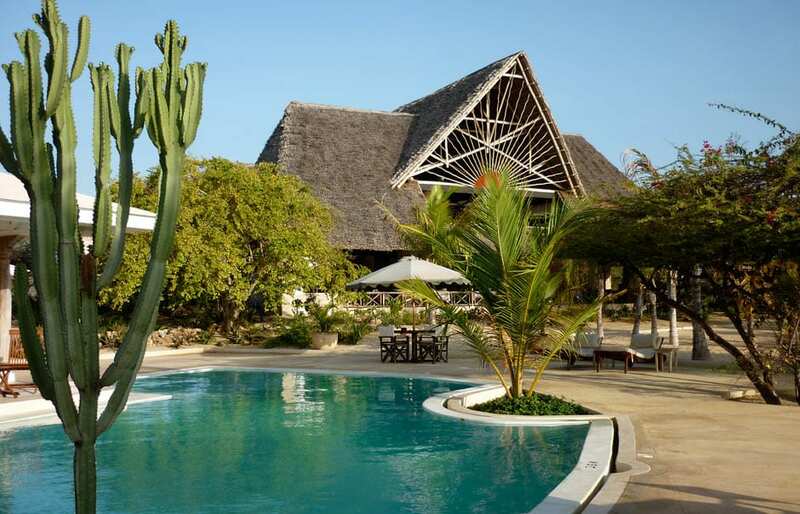 Built close to the beach, the bar is located by the beautiful pool, shaded by old acacia trees. Panoramic bay views are also ensured from the restaurant roof bar, which is topped by a soaring 14-meter high makuti roof. 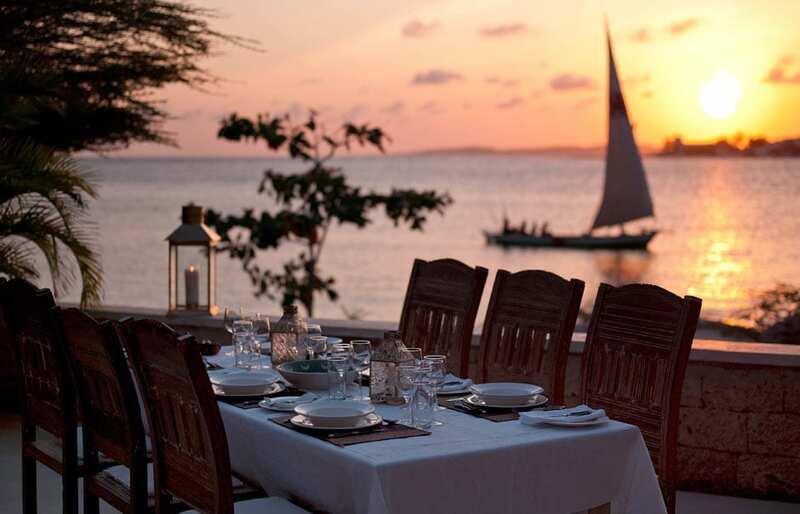 The open-plan central restaurant and a state-of-the art kitchen boast seven chefs, who contribute in making the varied Japanese-Italian-Swahili-International menu. With its tropical climate and idyllic scenery The Majlis is a great place for families and couples alike—no wonder Brad Pitt and Angelina Jolie picked the hotel to spend a New Year’s Eve. The Majlis is a child-friendly hotel, with children’s areas supervised by dedicated nannies, family-friendly room layouts and kid-friendly meals. 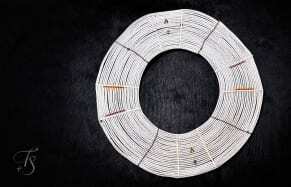 The full-board option doesn’t cover alcohols.